Casual Casa: What a place! I've always preferred more natural looking landscaping. 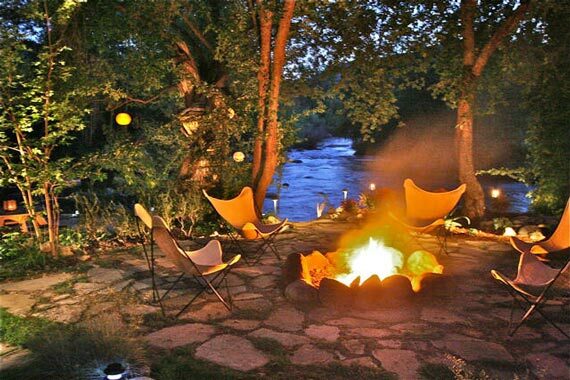 The hang-out area with the casually laid flagstone and the natural fire-pit below sure fits the bill. 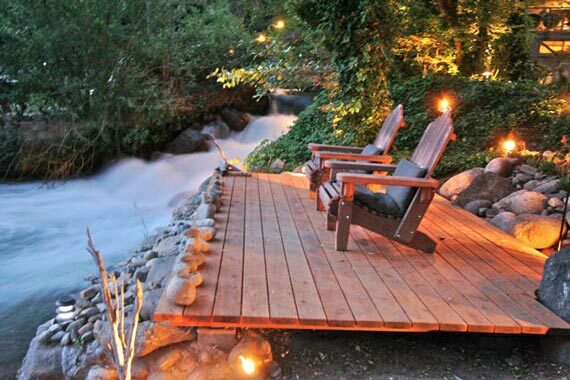 Speaking of natural landscaping, having an actual river in the backyard wouldn't be too shabby either.